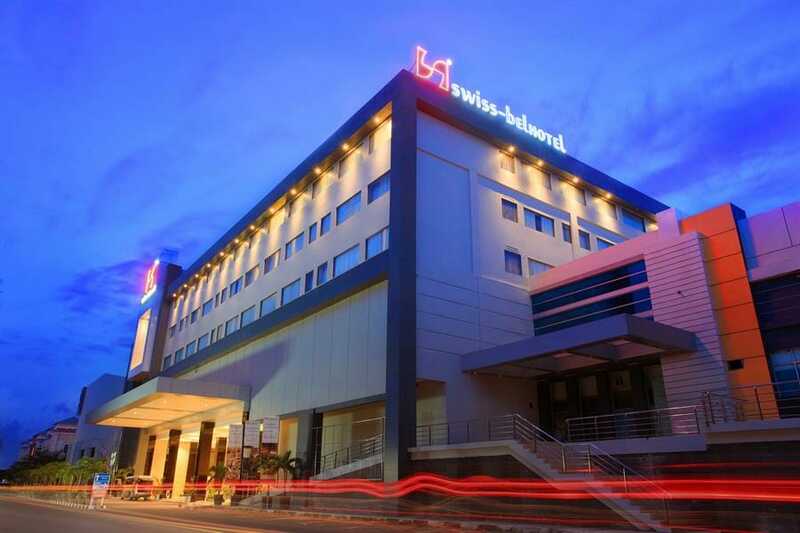 Swiss-Belhotel Harbour Bay Batam is one of the best 4-star hotels in Batam. 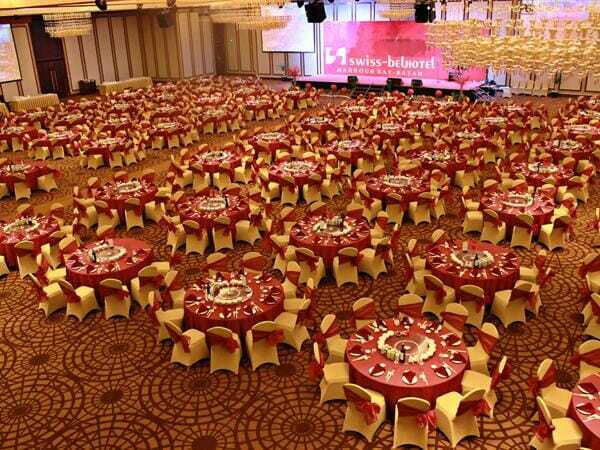 As part of the Swiss-Belhotel International that runs hotel chains all over Indonesia and the world, you can be assured of first-rate service and facilities in this property. 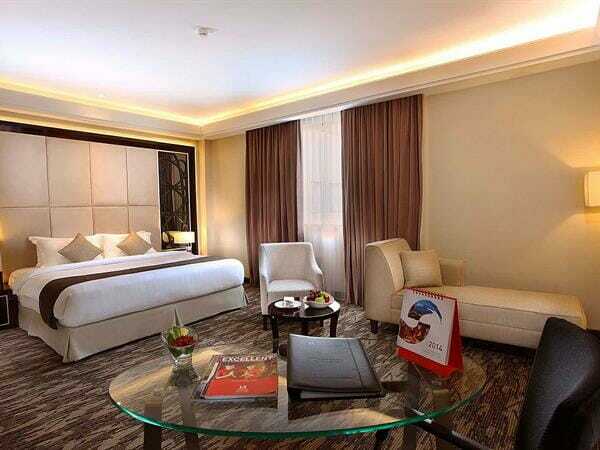 It has everything that’s expected of an international 4-star hotel and more. Other hotels in this group include: Zest Hotel Harbour Bay Batam, Swiss-Inn Hotel Batam, Grand Swiss-Belhotel Medan, and more. Situated just minutes away from the Harbour Bay Ferry Terminal and within the heart of Harbour Bay shopping and service complex, this hotel is in a near-perfect location. Getting from Singapore to the hotel and to anywhere on the island is extremely convenient. Other hotels in the Harbour Bay vicinity include GGI Hotel Batam and Pacific Palace Hotel Batam. 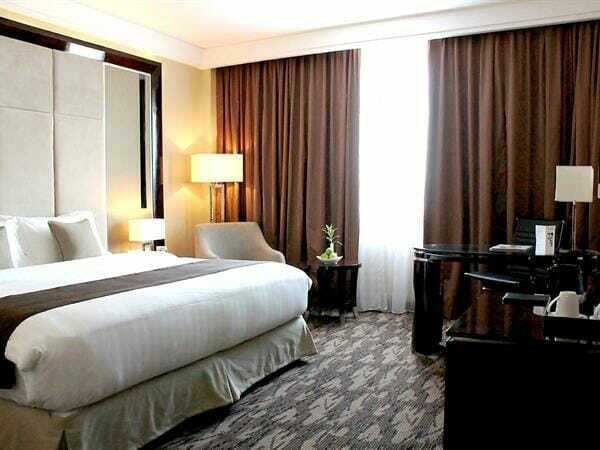 Swiss-Belhotel Harbour Bay is ideal for all leisure and business travellers. It has numerous entertainment and meeting amenities within the hotel as well as in the surrounding area. 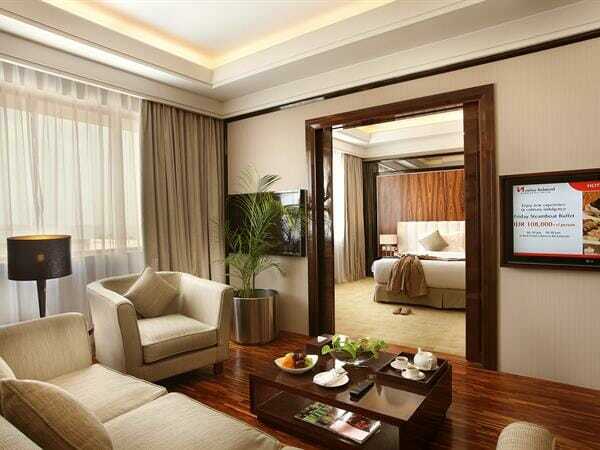 You will never run out of things to do and places to visit if you’re staying in this property. 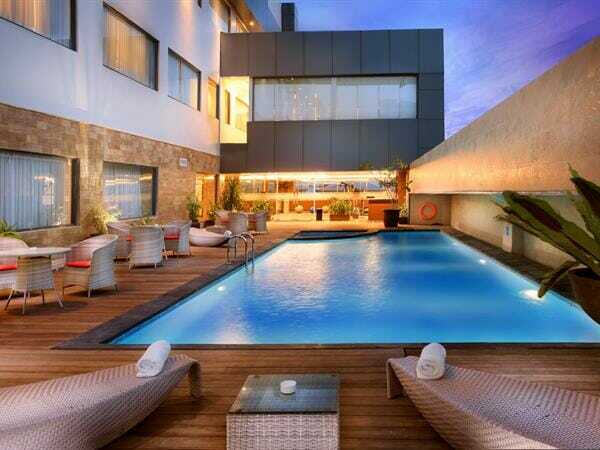 This hotel has all the standard amenities and facilities of an estbalished 4-star hotel: Café, restaurant, deli, lounge and bar, meeting rooms, ballrooms, swimming pool, fitness centre and massage, Wi-Fi, and more. You know you’re in for a good deal when a popular, international 4-star hotel doesn’t charge you a weekend surcharge even when some other hotels do. Standard additional surcharges might apply on some public holidays such as the Christmas and New Year. Our popular Swiss-Belhotel Harbour Bay Batam Package includes 1-night stay with breakfast, 2-way ferry tickets from Singapore, 2-way Batam land transfers, and option of Batam tour with seafood lunch and body massage. Everything is top notch except for price. To be honest price abit high for a city hotel in batam. Still worth booking for anyone looking for 4stars hotel in harbourbay. My hubby and I thoroughly enjoyed our stay here. They serve one of the best breakfast with plenty of choice and flavour. Hotel is near Harbourbay Ferry Terminal and Harbourbay Seafood Restaurant!! Hotel is excellent but the shopping mall located opposite is dead. When I went, only the massage centre and movie on the last floor is open, the rest was just… close. Shut down the entire mall. The mall beside swissbel is DEAD. I’ve always stayed in Nagoya Hill and BCS and thought of trying to stay near Harbourbay for shopping but was disappointing. Hotel stay here was very good. Nearby there are plenty of restaurants serving fresh seafood. Eateries with sun set sea views!